The summer holidays are a perfect time for bookworms and over the last few weeks, the teenagers on our Teen Advisory Board have been very busy reading through some new and forthcoming young adult novels. Find out what they’ve been reading below. ‘In the futuristic Kingdom of Sempera, time is extracted from people and bound to blood iron coins as money. As time is taken from a person, their months and years left alive is sucked into riches and coins to feed the hungry or keep queens alive forever. For Jules Ember, the Gerling’s estate, Everless, is the last place she wants to return to. When she was younger, her father and Jules had to escape the palace after a terrible accident forced them to flee into the night. After Jules’ discovers her father’s time is running out, she must return to the place she dreads and earn her father’s time back. Temptation, danger and mystery surround Jules as she is plunged back into a world with old friends and foes, and some deadly new ones. ‘At St Hilda’s, a new Wellness program is initiated for all students in Year Ten. Ady, Clem and Kate, three girls from different groups and backgrounds are brought together as a group and forced to spend time with each other. Though they are all different they are soon united by a common enemy, PSST, a website that publicly shames and humiliates people and spreads nasty rumours. Soon all three girls are pulled into the world of PSST and are each faced with their own demons, and find friendship with each other. ‘I’ve just finished Clare Atkin’s Between Us and I have no words. I could not have been prepared for the emotions it dragged me through – emotions so strong because they are rooted in issues that affect thousands of innocent people. The story follows two teenagers: Jono, an Australian boy experiencing cultural clashes with his Vietnamese father, Kenny; and Ana, an Iranian asylum seeker, bound in a detention centre and only given glimpses of freedom when she’s allowed to go to school. These two beautiful, inspiring characters brave the near-impossible odds to be together while their friends, their families and the Australian government interfere. I fell into these characters from the first page and consumed their heartbreaking story in under a day. With warm, inviting prose and a refreshing grasp on our diverse nation, Atkins has created a world where opposites collide: freedom and oppression, acceptance and rejection, happiness and depression. More importantly, she has given the rest of the world a close-up glimpse into what it’s like to be a refugee in a country that is so-called ‘free’. What I found most interesting about this book was the shifting points-of-view, including Kenny and an officer at Ana’s detention centre who embodies the ignorant, dismissive and conflicted attitudes that surround asylum seekers and refugees. 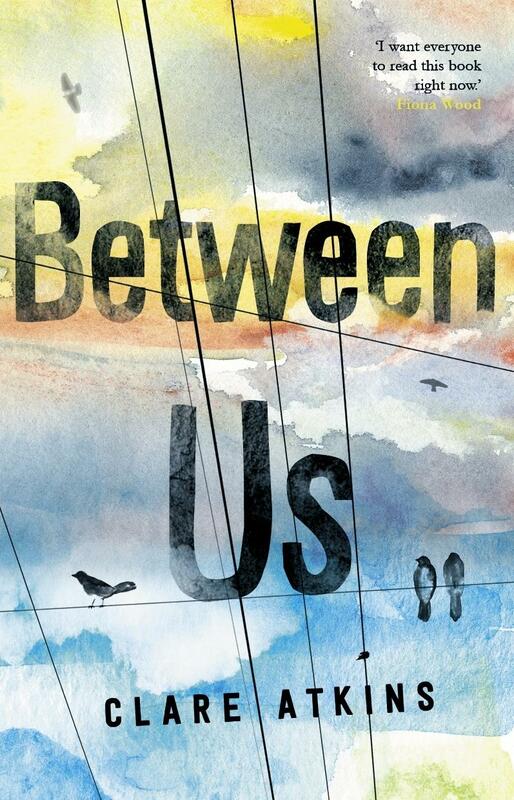 ‘ Between Us is an engaging and powerful book that delivers a heartfelt and emotionally captivating story. Its depiction of detention centre life serves as a wake-up call for an issue that will remain relevant for quite some time. This makes the book an important read, especially for young adults. The three main characters have been written with depth and care. Their motivations feel messy and believable, and they are all flawed in compelling ways. Through the varied viewpoints the author gives the story tension – for example, when one character does something that becomes a ticking time bomb with strong consequences for themselves and others. The varied narrators also give insight into the characters and allows nuance to be shown in their actions. Misunderstanding and crossed purposes are used as a plot device to the point where it becomes frustrating, but it reflects the chaos of real life well. The Readings Teen Advisory Board is a volunteer group of teens that meet once a month to chat about young adult books, learn about careers in the book industry, and give us very sage advice. Find out more here.